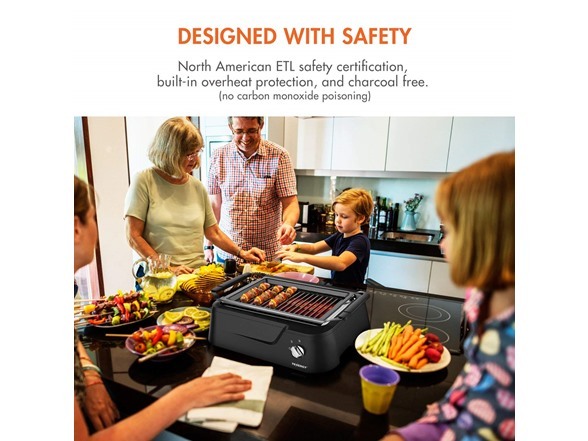 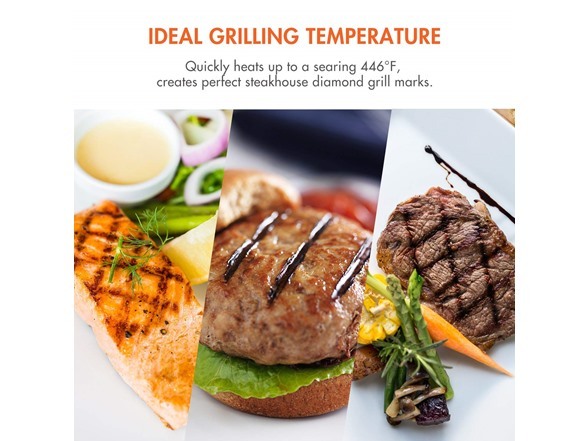 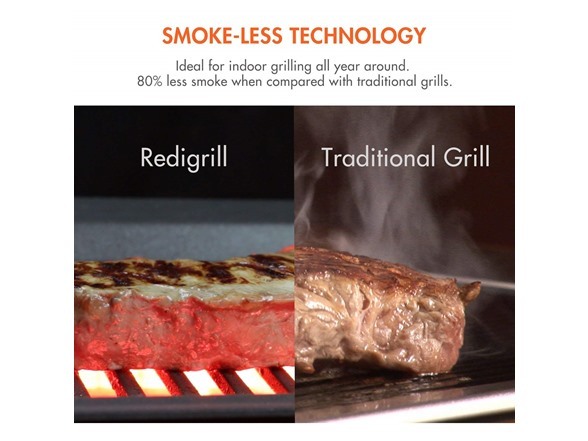 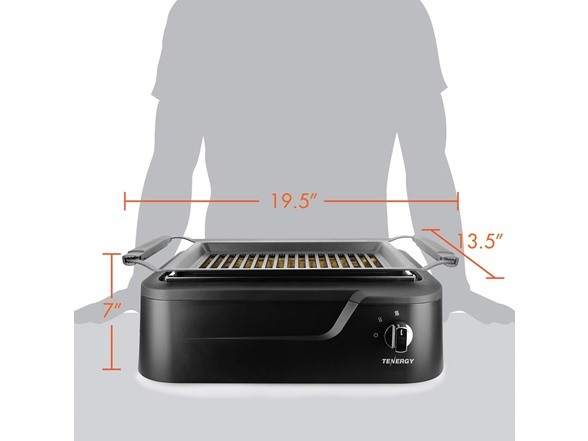 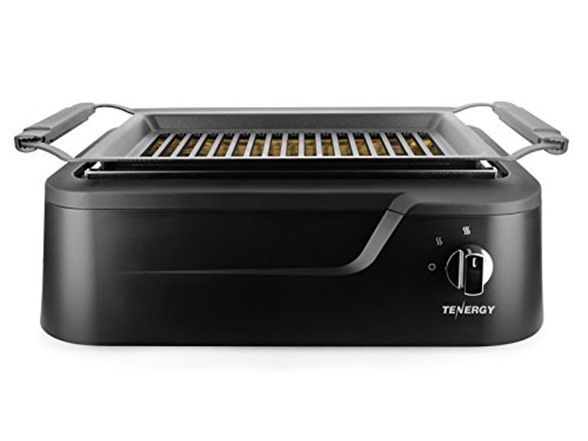 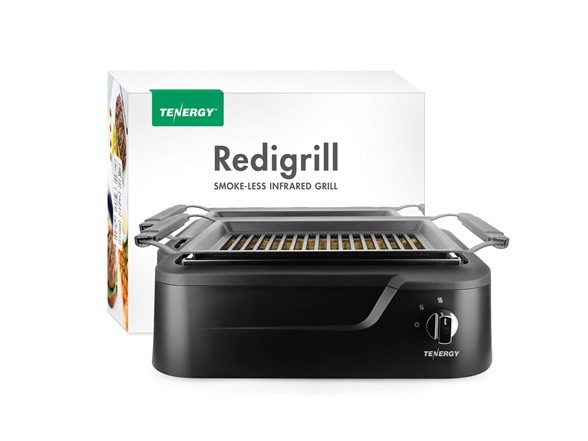 EASY-TO-USE AND CLEAN - Two-piece setup home grill takes less than a minute to start grilling. 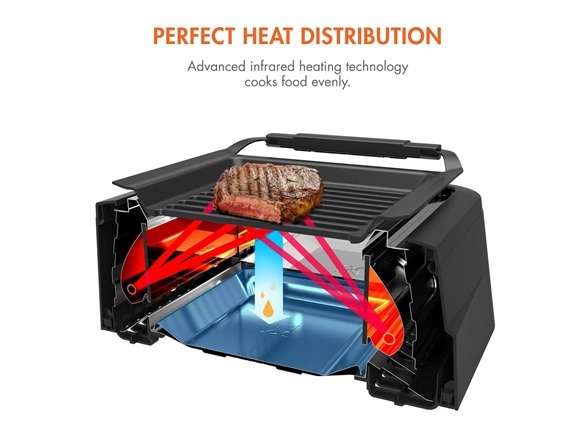 Just put the grill rack on top, slide in the drip tray, and plug in the power and the grill is ready. 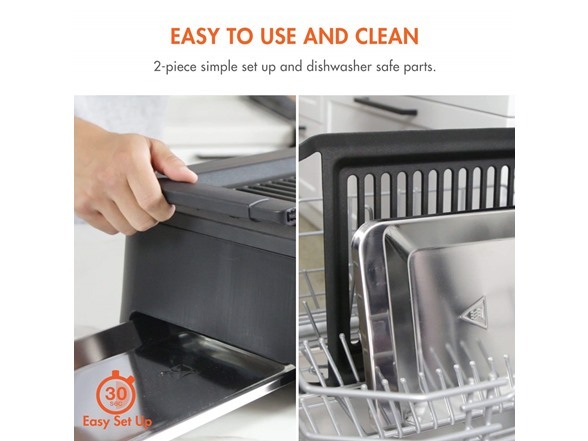 Clean up is just as simple and stress free thanks to the non-stick grill and dishwasher safe parts.